If you're making a ham for the holidays (or anytime), don't throw away that bone before make a batch of ham stock. You could do it in a pot on the stove top, but if you have a slow cooker or crockpot, why not let it do all the work for you—set it and forget it! Add the bone (I like leaving a little bit of meat attached) to the slow cooker insert along with a few veggies and herbs, plus water...then cover and leave it for at least 18 hours, but up to 24. Then you simply strain it and it's ready to use in soups, stews, and other comforting dishes to sustain you through the cold months. You can also store the cooled stock and freeze it for using later. If you're lucky, you'll get a nice, jellied stock like you see in the photos—full of collagen and health benefits of the gelatin pulled from the marrow and cartilage of your ham bone! 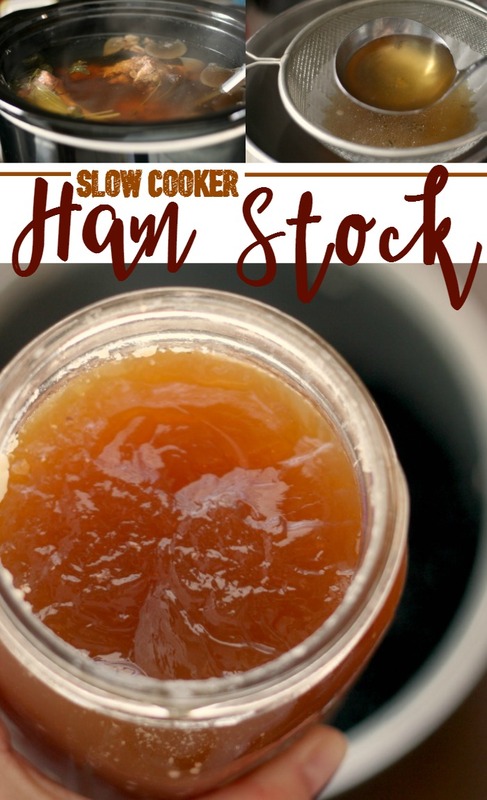 How to make easy homemade ham stock in the slow cooker using a ham bone. Place all of the ingredients in the crock of a 5 or 6-quart slow cooker. Fill to the rim with cold water. Cover and cook on LOW for 18-24 hours. Line a wire-mesh strainer with a coffee filter and ladle the stock into the lined strainer. Allow to cool completely. 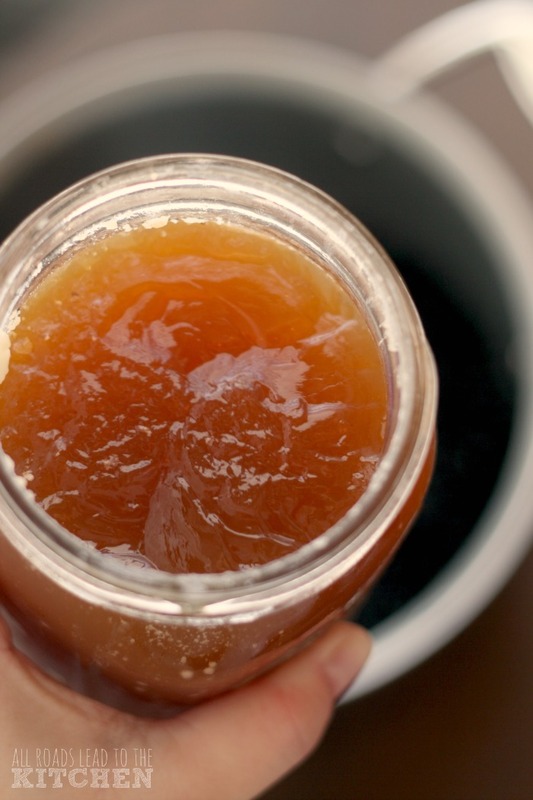 Transfer to jars and refrigerate for up to 3 days, or into freezer-safe baggies and freeze for up to 3 months.